Authentic Light: But Why 40 Days? Why did Jesus fast 40 days in the wilderness? Why do we fast that length of time to imitate him? Here's one reason. Only three people in the entire Bible are recorded as fasting for 40 days: Moses (Book of Exodus, chapter 34 verse 28, ERV), Elijah (First Book of Kings, chapter 19 verse 8, ERV), and Jesus. These three men marked the most important epochs in the history of the people of God. Even Abraham was never called upon to fast 40 days, important as he was. Moses instituted the "Old Covenant" between God and his nation and gave the Law to the children of Israel. This was the pattern of life God wanted them to follow and, we find out later, a pointer to virtually every aspect of Jesus' later work. Moses' fast occurred right at this crucial point in the story. Elijah was seen as the greatest of the Old Testament prophets. The main job of Israel's prophets, incidentally, was to call the people back to the Law God had given them through Moses. His fast came at Israel's lowest point up to that time, when it appeared (to him) that he was the last believer in Yahweh the God of Israel -- and he was about to be killed too! 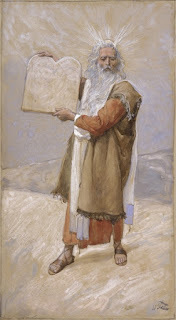 At Sinai, when his fast was done, God renewed and recommissioned Elijah. As Messiah, Jesus of Nazareth was the culmination of God's plan and superseded every thing Moses and Elijah had done. He pointed this out as bluntly and plainly as possible: "The law and the prophets were in effect until John came; since then the good news of the kingdom of God is proclaimed, and everyone tries to enter it by force," (Gospel of Luke, chapter 16 verse 16). Jesus fasted the same length of time as Moses and Elijah to show he stood in their spiritual lineage, which he was destined to transcend. Not destroy it; there is a continuity in God's ways. But to "fulfill" it, to make it all come true (Gospel of Matthew, chapter 5 verse 17, ERV). From here on out the Kingdom of God was present in the person of its King and all the things Moses and Elijah -- "The Law and the Prophets" -- stood for were subsumed and fulfilled in the Messiah: "He interpreted for them the things written about himself in all the scriptures, starting with Moses and going through all the Prophets," (Gospel of Luke, chapter 24 verse 27, ERV). "Two men, Moses and Elijah, were talking with him. They were clothed with heavenly splendor and spoke about Jesus' departure (in Greek, "exodon"), which he would achieve in Jerusalem," (Gospel of Luke, chapter 9 verses 30-31). But what about us? Why do we ordinary, everyday Christians fast (in a much less agonizing way) for 40 days like Moses, Elijah, and Jesus did? Lots of reasons, but one of the most important is this: Because we are not ordinary and everyday. The Messiah has inducted us into his Movement and we have sworn allegiance to him, which means we are now part of that same spiritual lineage as he (and they) are. He is our head and we are his body (Letter to the Ephesians, chapter 1 verses 22-23, CEB). We are the Kingdom here and now, just as he was. We don't merely act on Christ's behalf, we act as Christ -- as his personal way to permeate, transform, and eventually conquer the world. We are him to this world. 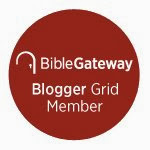 Over the millennia Christ's Movement has found one of the most useful ways to become more like Jesus is to live our way through the events of his life each year, as we discussed in this post from 2011. By imitating Jesus' 40 day fast we stand in the same line as Jesus, Elijah, and Moses did. We fast 40 days because Jesus fasted 40 days and we are his body. Doing this year by year melds the body ever closer to the head. Or, to reverse the image, keeping lent each year enables the world to see the head more clearly through the body. Frankly, if we take it seriously, the 40 days fast prods us to stand up and openly state that, "Why yes, as a matter of fact I am part of Christ's body in this world!" With Jesus there was never any doubt what he was up to. We, on the other hand, can fit in a little too well and all unawares sink into a gentle anonymity. But when we come into work with a big smudgy ash cross on your forehead, or have to fumble for an explanation at lunch as to why we're not eating meat right now or must let all our friends know we won't be on Facebook for over a month, that can prompt awkward questions. But that's ok because, after all, we're just the latest generation of that famous spiritual lineage.